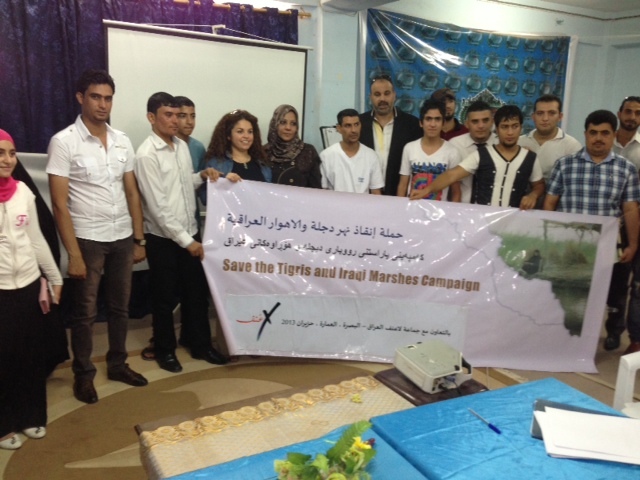 [:en]Last week, the Save the Tigris Campaign held seminars in four provinces in South Iraq: Basra, Missan, Dhi Qar and Qadissiya with the support of local civil society and activists. 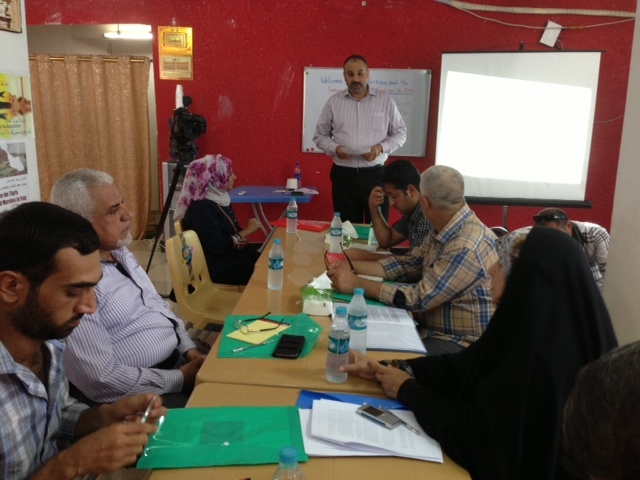 The seminars were held in Basra, on June 27th, Amara on June 28th, Nasirya, on June 29th and Diwaniya, on June 30th. 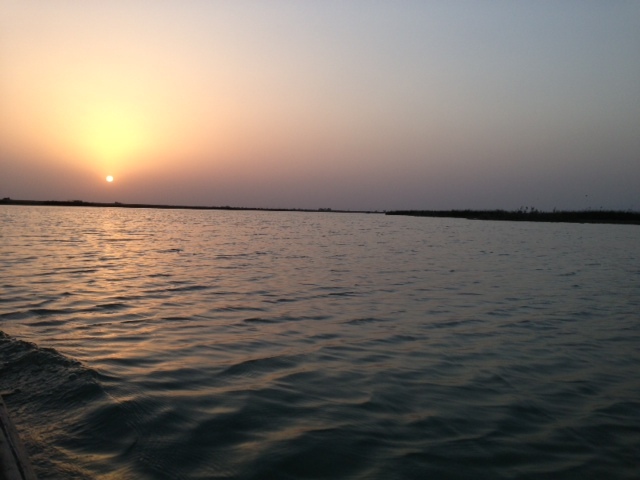 The southern provinces of Iraq will be most affected by the water issues, we also have the marshes in three of these provinces, Basra, Amara and Missan, so this is an important milestone in our campaign efforts. The seminars gave us the opportunity to understand the water issues in all of these provinces. Local activists and organizations working on human rights, and environmental issues in each of the provinces sponsored the seminars and volunteered for translation and logistics. There was a lot of energy in these seminars. Each seminar was different, Nasriya and Amara focusing more on the Iraqi Marshes while Diwaniya on the legal aspect of transboundary water issues. 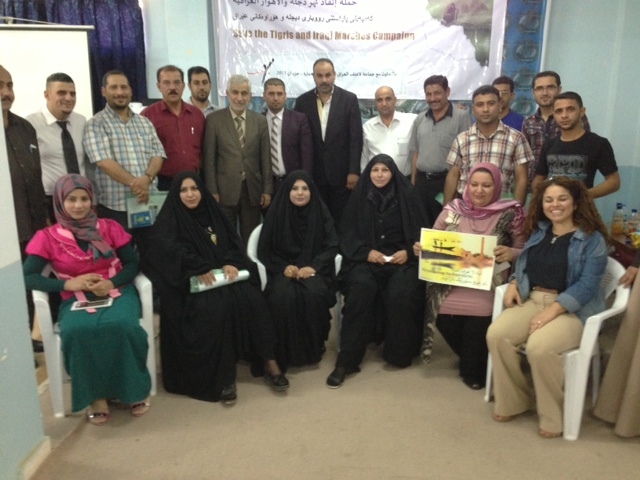 Basra June 27, 2013: The Basra seminar was held in Mawj Women Organization in Basra, hosted by Laonf Group in Basra, with around 15 participants from civil society organizations, oil unions, media and a representative from the Provincial Government of Basra. 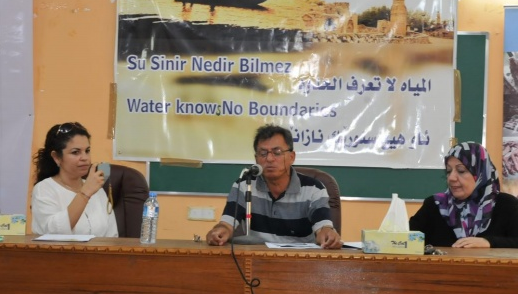 The seminar discussed the water crisis in Iraq, the effects of Ilisu dam in Turkey and Iraq and the activities of the Save the Tigris campaign in Iraq and around the world to raise awareness about the consequences that Ilisu will have in Iraq. During the seminar, the campaign released an open letter to the Iraqi Government with demands to the committee responsible to prepare the submission file of the marshes to the World Heritage Site, to declare its plan to submit the file formally to the World Heritage Committee. The letter also urged UNESCO to engage in the protection of the marshlands, specifically to provide technical support to the Iraqi committee and to depend expediency from the Iraqi government in submitting the file. Ms. Anwar from the Basra Provincial Council said that she will take the message and will follow up in her province on the two letters released by the campaign. Amara June 28, 2013: The seminar in Amara was held in the Local Municipality Building, hosted by the local Laonf Group. Attendees were around 25, with a participant to note, Mr. Kadim Qasim, member of the committee of agriculture and water resources in the Council of Representatives (CoR). He mentioned that experts are studying the Ilisu dam at the National Center of Water to update the Parliament. Moreover, he mentioned some efforts at the national level; a national conference to discuss economic relations between Iraq and Turkey and there was agreement on using economic pressure to negotiate with Turkey on transboundary water. They were concentrating on the principle of no- harm. In addition, the foreign ministry renewed their efforts to send letters to the EU because of Turkey’s accession process to the EU, and there will be further meetings between EU and Iraqi representatives. Mr. Qasim also mentioned a project submitted to the Parliament to develop sustainable irrigation at a cost of 18 billion dollars (a loan from the Australian government). This project has been delayed in the Parliament due to political issues. Within the solutions studied by the government of Iraq is to use economical relations to pressure Turkey, and the possibility to collaborate with Turkey to build Cizre dam. Members of civil society discussed the role of the government in raising awareness about the water crisis, some participants raised the point that is not civil society, but the government’s responsibility of to negotiate this issue with riparian states. Despite the fact that it is their obligation, as they have shown this is not on their priorities, civil society has to advocate for them to put water in their priorities. We explained that in other developed democracies, civil society groups are a balance to the democratic process and make things happen by putting pressure on their governments. We also met a young group of volunteers called: Team Ana Missan. They presented their community work, visiting hospitals and delivering flowers, cleaning drives, and many other activities that put emphasis on non-violence and no to sectarianism in Iraq. They were very interested in the campaign and are willing to cooperate and organize events on the Missan province. 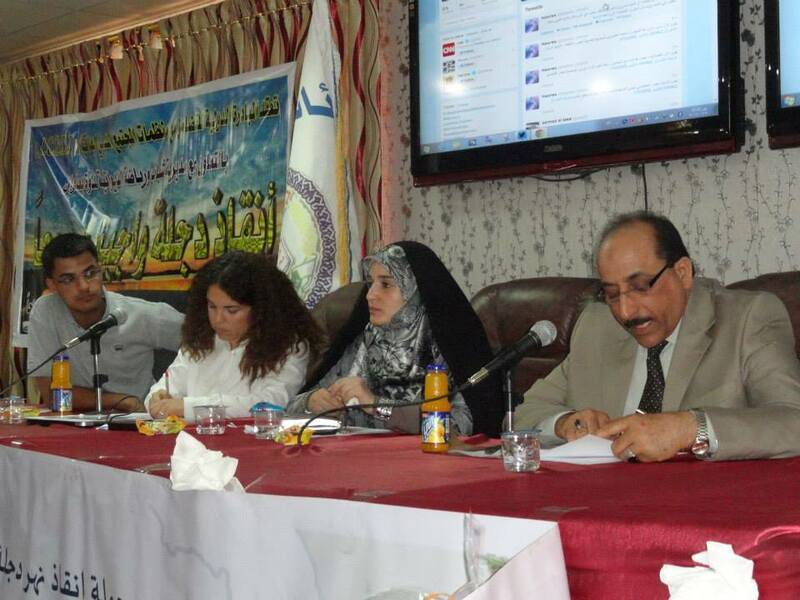 Nasiriya June 29, 2013: The seminar in Nasiriya was held in the Engineers Club, hosted by Nature Iraq, with more than 50 participants. 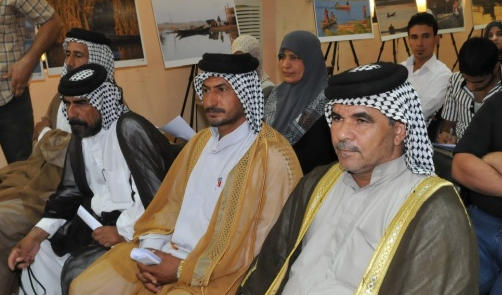 Participants included Mr. Shehid from the Provincial council in Dhi Qar, Mr. Muhsen, Director of Environmental Office in Nasriya from the Ministry of Environment, Mr. Usama Hashem, from the Dhi Qar Marshlands and Wetlands office of the Ministry of Water Resources. Mr. Khalef, Assistant Director of the Water Resources office in Nasriya, Professor Dr. Khalid Fartosi from the College of Science in Dhi Qar University. The seminar discussed the impacts of the dam on the restoration efforts in Marshlands. The Save the Tigris Campaign coordinator, Johanna L. Rivera presented the campaign goals and demands, also the activities at the national and international level to raise awareness about the devastating effects of this dam on the socio-economical, environmental, and cultural heritage in Iraq. Jassim al-Assadi from Nature Iraq explained the drying of the Iraqi Marshland during the 1990’s and the ongoing efforts to restore the marshes. He highlighted the importance of the Tigris River in reviving the marshes and the difficulties that will face the marshes in the future, particularly the risks posed by Turkish dams, including the dam Ilisu. He pointed to the large and painful risks that threaten biodiversity and the inhabitants of the marshes because of water scarcity. Dr. Fartosi from the Dhi Qar University explained the damage to the water buffaloes and the impact of the lack of water on milk production. He compared the milk production in Iraq to the one in Egypt. The production in Iraq has decreased significantly and he pointed to the importance to do more research on this issue. 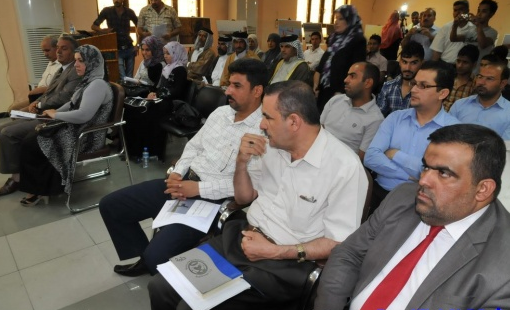 Diwaniya June 30, 2013: The seminar in Diwaniyah was held at the Faculty of Law College, University of Qadisiyah. It was held in collaboration with the Directorate of Sports and Youth in Diwaniyah and a number of volunteers from the Youth Parliament of Diwaniyah. We note the participation of members of the local government like Mr. Majed Jaber Alsalihy and Mrs. Dhuha Almusawi and a representative of the Directorate of Water Resources in Diwaniyah, in addition to a number of civil society organizations and youth in the province. The seminar entitled “Saving the Tigris is the duty of all” included three axes; first Mrs. Johanna Rivera, coordinator of the campaign in Iraq, discussed all activities undertaken by the Campaign to Save the Tigris and the Iraqi Marshes in Iraq from the impact of Ilisu dam in Turkey. This dam will lead to drought of the river and the Iraqi Marshlands after the completion of construction within the plan of the 22 hydraulic structures on both Tigris and Euphrates. She introduced the campaign’s goals and recommendations that have been drawn from more than one seminar and conference on the subject. Ms. Baidaa, professor at the Faculty of Law, University of Qadisiyah, introduced the second axis. She discussed a working paper on the legal subject, mentioning the international conventions between Iraq and Turkey regarding the international waters. Then the director of Agriculture Directorate in Diwaniya, Mohammed al-Jubouri talked about the impact of the construction of the dam in particular, and the rest of the 22 dams including drought and a negative impact on agriculture in Iraq, especially in Diwaniyah province as well as on the economic life of the country. The discussion has been done with the audience about each axis and writing joint recommendations in the conclusion of the seminar. 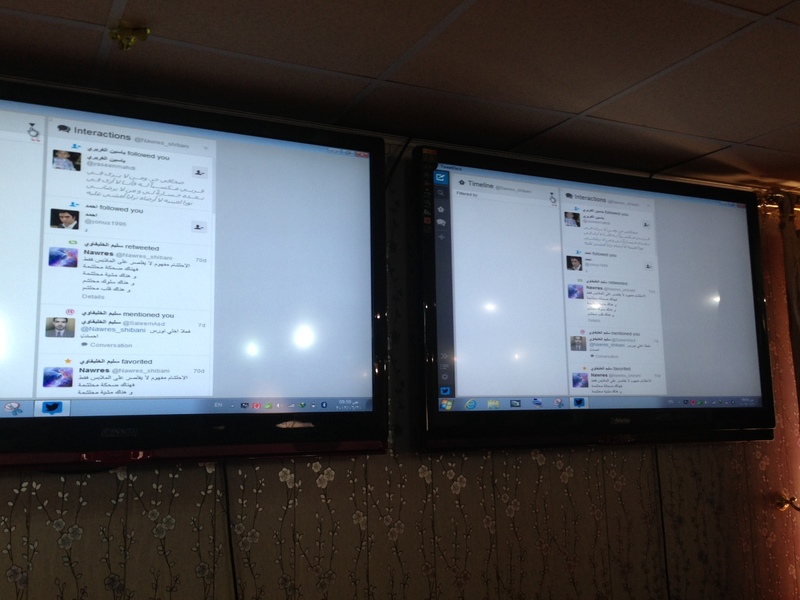 This seminar received a wide coverage of media including the traditional and new media. The results were the support to this campaign by attendees adopting its recommendations, especially a member of the Agriculture Committee in the Iraqi Parliament Sheikh Hamed Alkhudhary. Renaissance Dam in Ethiopia and the Similar Turkish CaseThe World Heritage Committee will be meeting in Cambodia: Iraq is a member, but the Iraqi marshes are not in the agenda!